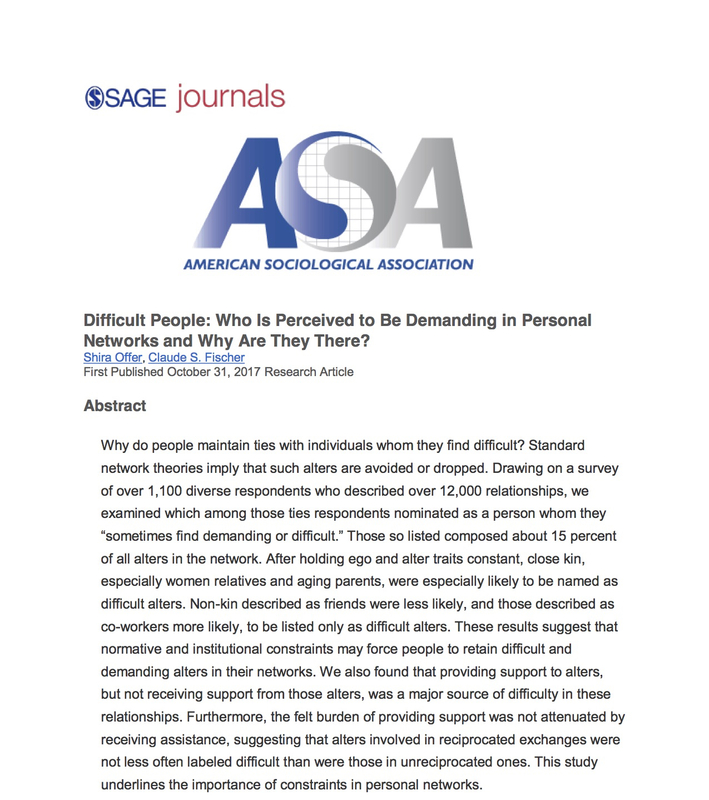 This article from the American Sociological Review discusses the role of difficult people in our lives. Why do we keep ties with difficult people? What role do they play in our lives? Why is is hard to set boundaries with them? As a psychiatrist and an empath, I am fascinated by how the phenomena of empathy how and boundary setting works. I feel passionately that empathy is the medicine the world needs right now. In my book The Empath’s Survival Guide I discuss different kinds of difficult people. Here is an example of how to set boundaries with 2 kinds of difficult people. Control freaks feel qualified to offer their unsolicited opinions such as, “You know what you should do…?” Then they proceed to tell you, whether or not you want to hear their advice. Or they continue to nitpick little things that you’re “doing wrong” such as, “You forgot to put the dishes away…again,” or “You really should learn to park better.” Empaths may take to heart a control freak’s disapproval, particularly if they lack self-confidence. So they end up feeling attacked, depressed, and tired. Remember, it has been said that opinion is the lowest form of knowledge as it requires no accountability and is subjective. Of course, it may be helpful to listen to “constructive criticism” to see if the comment does make sense. But in general, criticism–especially nitpicking or the ongoing kind–can be draining for empaths. Politely ask the person to stop criticizing you. Be firm and non-emotional. Don’t play the victim. If you feel inadequate around a controller or criticizer, identify and begin to heal your low self- esteem issues that have been triggered. The more secure you feel, the less these vampires can hurt you. Empaths are incredible listeners and make the mistake of tolerating chronic talkers far too long. Then they become exhausted. To protect themselves, empaths must address their tendency to be people pleasers. Everyone loves telling empaths their life stories because they’re so attentive. But with chronic talkers, you must learn to set boundaries, a basic form of self-care. Non-stop talkers don’t respond to your non-verbal cues such as looking impatient or restless. You must interrupt them, as hard as this may be to do. With a family member or coworker, express in a neutral, non-blaming tone, “I’d like to add to the discussion too. It would be great if you can allow me to contribute.” If you convey this without irritation, you can be better heard. Use humor. With people you know well who will understand, say jokingly, “The clock is ticking…” as one good friend does with me if I get long-winded.